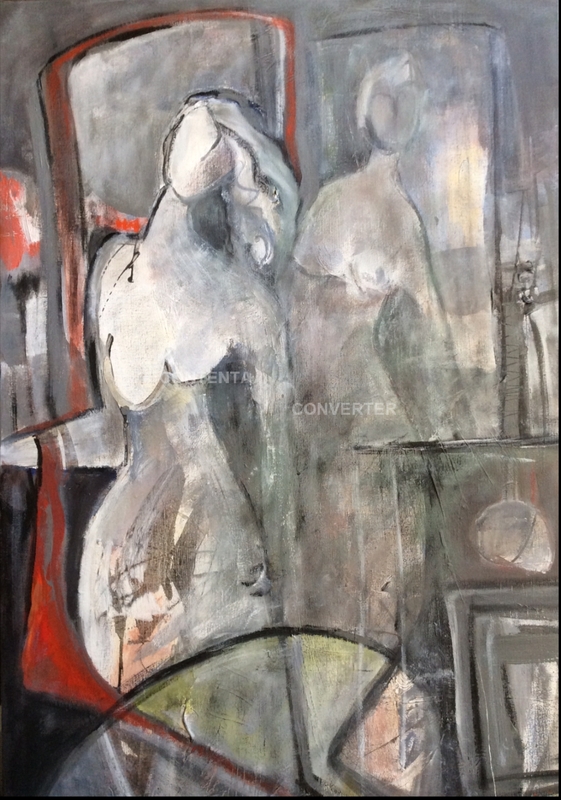 "Every Painting is a Song"
Elaine asks: "If my paintings were songs, how would they sound to you…?" Elaine Weiner-Reed - "The Gathering - Still Waiting"
On 6 June 2018, at the artist's solo exhibition at Maryland Hall for the Creative Arts, the talented trio Rogue Collective interpreted several of Elaine Weiner-Reed's paintings and sculptures in Musical improvisational creations. 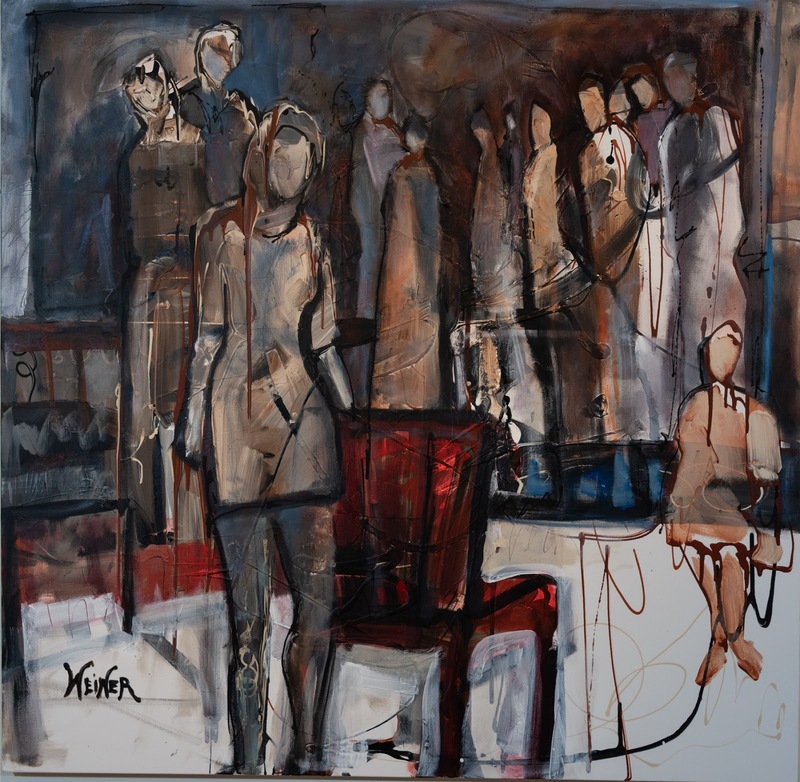 Elaine Weiner-Reed's painting "The Gathering - Still Waiting"
"My art focuses on unraveling the complexity and mystery of human emotions, behavior, and relationships, featuring the individual within or outside of a group dynamic. Layers of color, shape, and line etched with calm or charged energy coalesce to convey a mood: intimacy, loneliness, alienation, joy, solidarity, sensuality, conflict, harmony, or mystery. "Depending on the story, I zoom in on an individual, defining their character in layers, or I depict them only as silhouettes or after-thoughts. Are they center stage or out of focus? Do they wear a mask?..." "If my paintings were songs, how would they sound to you…?" That very question and the thinking behind it dating back some three or more years, became the genesis for Elaine Weiner-Reed's first "Every Painting is a Song" Cross-Discipline Creative Collaboration open to writers, poets, songwriters, screenwriters, dancers, and musicians.